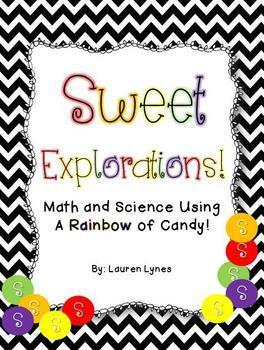 This pack is sure to keep your students engaged while they practice math skills and conduct a simple science experiment. Just add Skittles! 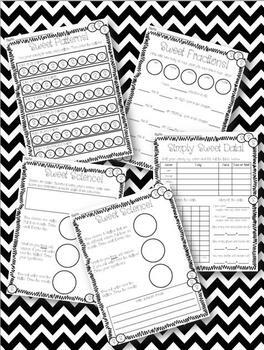 Students will sort, graph, tally and interpret data. They will work on number sentences, even/odd, fractions and simple patterns. 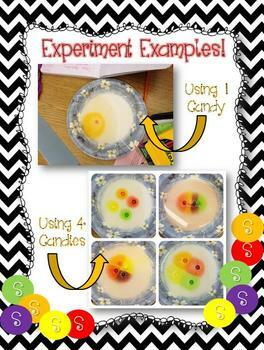 They will also conduct a simple science experiment using their candy! Best of all, there is very little teacher prep involved! Download the preview for a closer look at what is included!